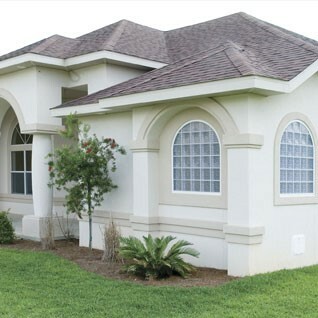 Oftentimes people “think big” when looking for ways to enhance the curb appeal of their homes. According to experts at Hy-Lite, there are five specific (and small!) ways homeowners can add to the curb appeal of their houses without breaking the bank or investing too much time. According to Murphy, there are five specific things that can be done during National Curb Appeal Month in August to improve a home’s street side appearance. Tip #1 – Make the outside new again. Replace the old hardware on your entry door. Change out the numbers on your house. Add a new mailbox. Replace light fixtures with upgraded versions. Install solar or low-voltage outdoor lighting. Really take a look at your home’s exterior to see what’s looking tired and worn out, then replace those items. Tip #2 – Add colorful flowers. You don’t have to be a landscaping expert to add potted colorful flowers to the front steps of a home. Flowering baskets can also be added to the porch or trees. Easiest of all, place decorative plant stands within your landscaping and then place pots or baskets of flowers strategically within the front yard landscaping. Tip #3 – Replace an old window with a privacy window. Whether a decorative glass or acrylic block unit, a new privacy window adds sparkle to the outside of the home … and an attractive look to the home interior. Eye-catching and unique, a privacy window can be selected that opens (like a casement or sliding window) or a fixed, non-operable unit. Tip #4 – Paint the front door. Add a pop of color that contrasts (yet complements) the home exterior. Painting a front door is an easy project that has lasting impact. Add new door hardware for the icing on the cake! Tip #5 – Attack the bushes. Trim up bushes and remove weeds. Rake out all dead leaves underneath the shrubbery in front of the house. Not interested in tackling this DIY project yourself? Then hire local teenagers or a church youth group to get your bushes back in shape.